Skin tags are small growths of skin that tend to form in skin folds or other areas of the body where there is skin-to-skin contact. These non-cancerous growths are usually pink or brown in color. Often found on the eyelids, under the breasts, in the armpits or on the neck, these small, irregular growths are not harmful and don't cause any pain. However, many people still choose to remove them purely for cosmetic reasons. 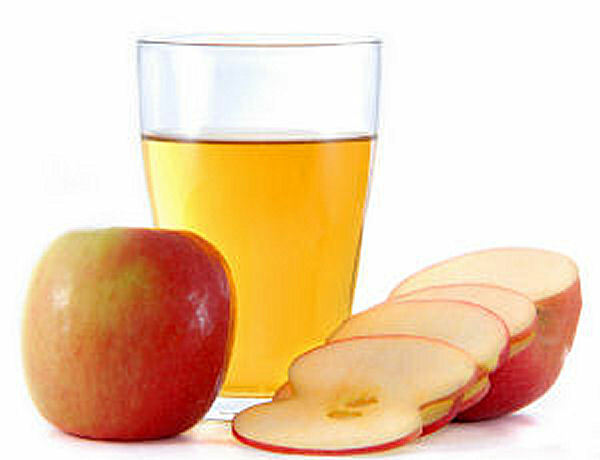 One of the easiest and most effective ways to eliminate skin tags is by applying apple cider vinegar to them. Over time, the acid in the vinegar slowly destroys the skin tag, leaving behind clear, smooth skin. To use this remedy, simply dab a cotton ball that has been saturated with apple cider vinegar on the skin tag several times a day. Try to avoid getting the vinegar on the surrounding skin since it could cause irritation. Within one to three months of consistently using the vinegar, the skin tag should disappear. The milky looking juice contained within dandelions is known to be effective for drying out skin tags. To extract the juice, simply take a few dandelion stems and squeeze the liquid from each one into a small plate or bowl. Apply this liquid directly onto your skin tags using your finger or a cotton ball, and repeat this 4 times a day until the skin tags dries and falls off. This will usually happen within 1 month. Avoid this remedy if you are allergic to ragweed, daisies, or marigolds. As strange as it may seem, painting a skin tag with clear nail polish can cause it to slowly shrink until it eventually goes away. All that you have to do is clean the skin using mild soap and water. Dry it thoroughly, removing all traces of moisture. Once the skin is dry, paint a layer of clear nail polish over the entire surface of the skin tag. Repeat this process daily until the skin tag disappears. Known for its powerful antibacterial, antifungal, and antiviral properties, tea tree oil is one of the most popular essential oils. 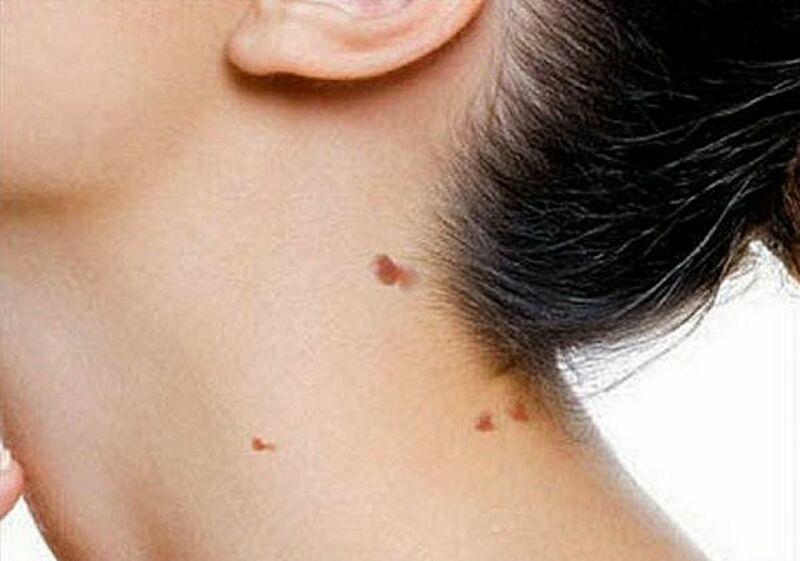 This oil, which has a distinctive aroma, can be used to safely and effectively remove skin tags. Like the previous remedies, all that you have to do is apply tea tree oil to the skin tag one or more times a day. Over time, the skin tag will get smaller and smaller until it eventually goes away. It usually takes at least a month of consistent application of the oil to see results. 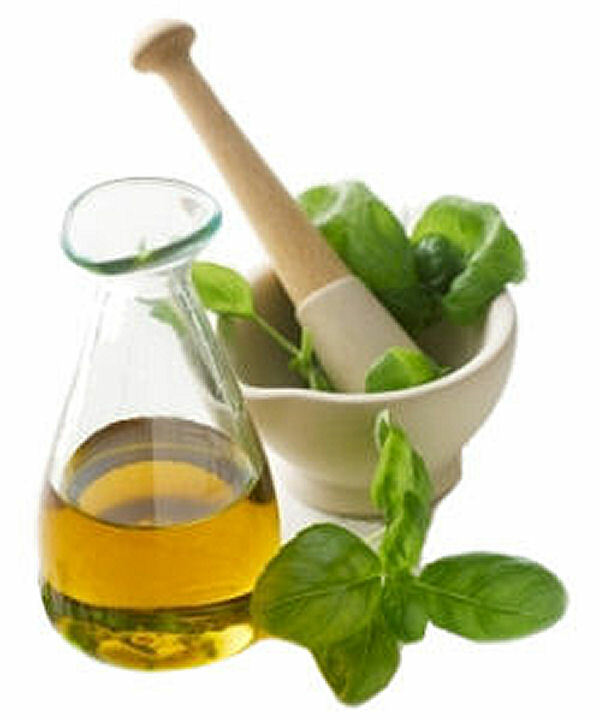 Oil of oregano is known to have strong antibacterial properties, which makes it a powerful natural remedy for skin tags. Simply mix 6 drops of coconut oil with 3 drops of oregano oil into a small plate, and apply this mixture onto your skin tags 3 times a day for one month. You can use a cotton swab or apply it directly with your finger, and leave it on your skin tag for at least 1 hour before washing it off. By the end of the month, the skin tag should fall off on its own. The use of coconut oil is important since oregano oil alone can cause irritation due to its powerful properties. Avoid using this mixture for skin tags that are too close to your eyes. The citric acid contained in lemon juice makes it a very effective treatment for skin tags. The acid acts as an antiseptic which helps to dry and decompose the cells in skin tags. Simply squeeze the juice out of a half lemon, and then use a cotton ball to apply the juice directly onto your affected skin. Apply the lemon juice 3 times per day without washing it away, and the skin tag should falls off on its own within a month. Removing skin tags at home is easier than you might think. 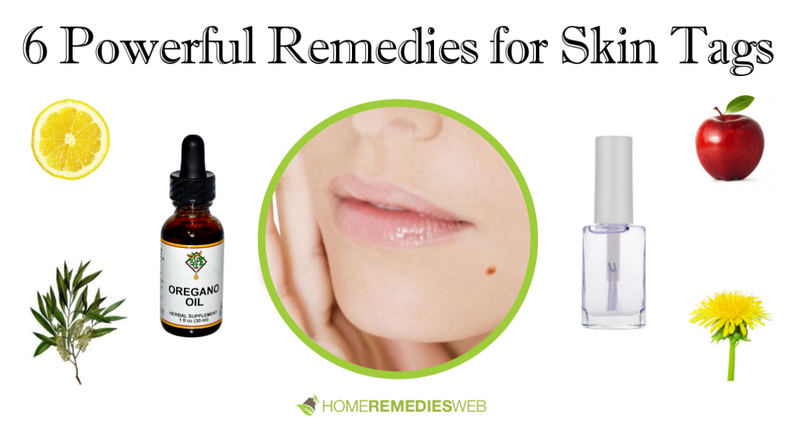 The home remedies listed above can all be used to combat these unsightly skin growths. It is important to note, however, that none of these remedies should be used on skin tags that are growing around the eyes or in the groin area. The best way to deal with skin tags that are growing on these sensitive parts of the body is to visit your doctor or dermatologist to have them professionally removed. Waverly J. Hanson is a licensed professional counselor, licensed marriage coach, military and family life consultant, professional trainer and author of How to Divorce-Proof Your Marriage. She has more than 25 years of experience helping individuals and couples improve their lives. To learn more about her effective methods, visit her Personal Development Goals blog. This pesky weed actually has some amazing nutritional benefits for a variety of health conditions. Oregano oil is a great natural remedy for fighting a variety of infections. To get rid of skin tags, take the inner part of the banana peel and cut it in small size. Place the banana peel over the tag with a Band-Aid. Do this daily until the skin tag falls off.